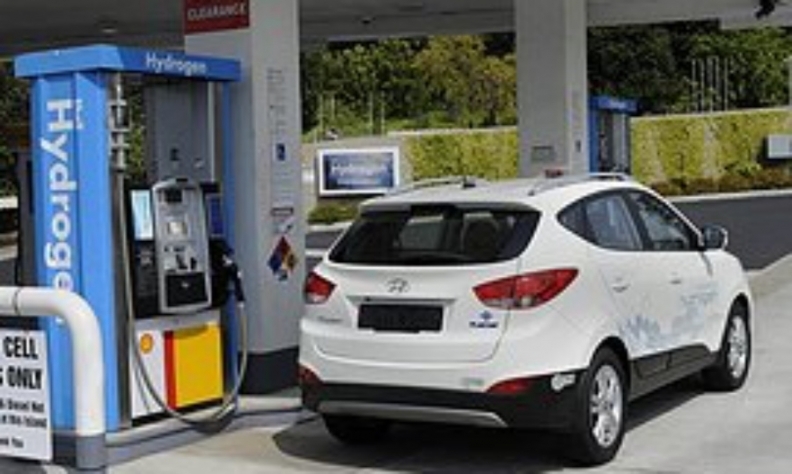 VANCOUVER -- What’s being billed as the first publicly accessible hydrogen refuelling station in Canada should open late this summer in the Vancouver area. The station will be part of an existing gas bar, said Colin Armstrong, president of Hydrogen Technology and Energy Corp. (HTECH), which is overseeing construction of the project. Armstrong would not pinpoint the precise location nor the fuel retailer hosting the station because the building permit is still being finalized. “We should have it in another three weeks,” he told Automotive News Canada after announcing the $2-million project here Monday at the biennial Hydrogen and Fuel Cell conference. Construction should proceed quickly once the permit is approved, he said. “From a construction point of view it’s a slab of concrete,” Armstrong said. The absence of refuelling infrastructure has limited the rollout of hydrogen fuel-cell vehicles (FCEVs) in Canada, a chicken-and-egg problem HTECH and others are trying to address. Hydrogenics Corp. of Toronto last month received $1.6 million in federal funding to build two stations in the Greater Toronto Area. There are only a handful of privately owned hydrogen fuel-cell vehicles in Metro Vancouver. Armstrong told conference attendees the project mirrors the opening of Canada’s first public gas station in Vancouver 110 years ago, just three years after the first gas-powered car arrived in the young city. The station is one of several HTECH wants to dot throughout the Lower Mainland of B.C., which includes Metro Vancouver and the Fraser Valley. HTECH has partnered with LGM Financial Services Inc., a Vancouver-based automotive finance and insurance company, whose founder Adam Hill “is passionate about social responsibility,” spokeswoman Meg Suderman said. “Along with other partners, LGM is eager to support the industry's efforts to develop infrastructure to support zero emission vehicles, to promote sustainability and support the growing number of automotive manufacturers that already have ZEVs in market or have ZEVs coming soon to market,” she said via email. LGM is investing only in this first station and nothing more at the moment when it comes to HTEC's proposed program of more stations. Other partners include automotive OEMs, BC Hydro subsidiary Powertech, which like HTECH has worked on hydrogen refuelling and distribution internationally and an array of government and technical groups, said Armstrong. The project should be eligible credits under B.C.’s low-carbon fuel program and is also getting direct funding from its Energy and Mines Ministry’s clean-energy program. Hydrogen for the first station will be produced through electrolysis, which extracts hydrogen from water. Armstrong said it’s hoped that as demand rises hydrogen could also be derived via biomass and natural gas.